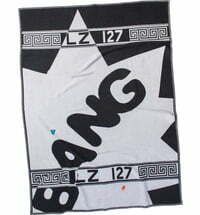 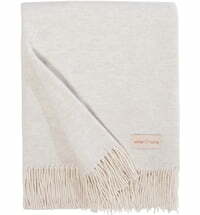 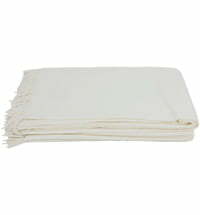 The blanket "Imagine" is made of 100% cashmere. 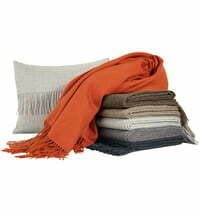 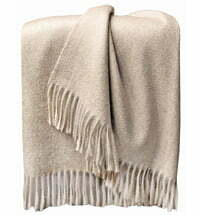 Cashmere is pure luxury and softness. 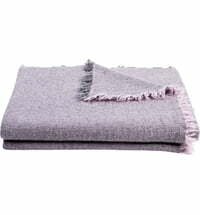 Wonderfully light, wonderfully cuddly, the wool owes this to the exceptionally fine hair of the cashmere goat from which it is extracted. 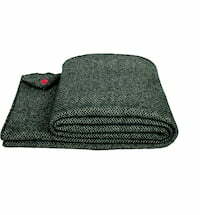 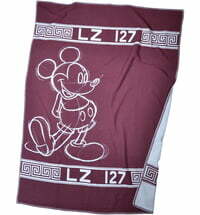 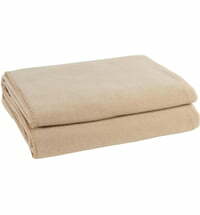 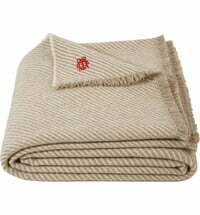 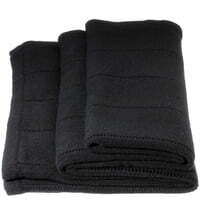 Despite its lightweight cashmere wool is very warm and cuddly tender. 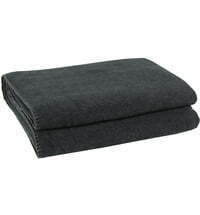 The classic plain plaid has a silky, iridescent sheen. 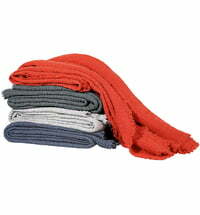 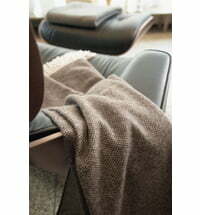 Thanks to the particularly fine, soft cashmere with water-shine finish "Imagine" is generous and very elegant. 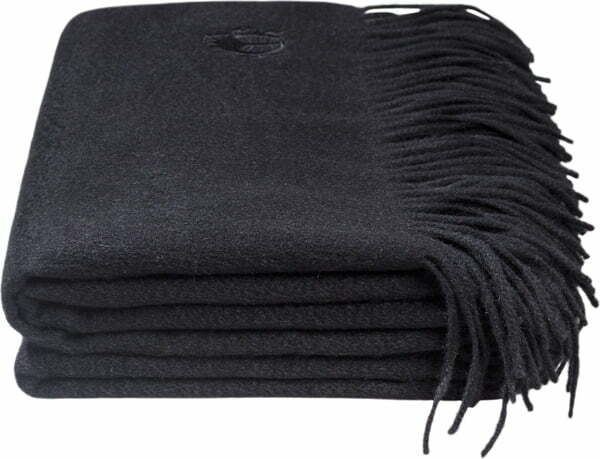 The long fringes and the inconspicuous embroidered JAG beetle give the blanket that certain something.